In order to ensure that a dog is safe at the end of its 7 day stay in the pound we sometimes have to use the option of emergency boarding kennels. These cost £6-12 per dog per day. If a "poundie" runs out of time and a rescue space has not been secured at the end of the 7 days, we aim to move them to these emergency kennels whilst work continues to find a rehoming centre that can offer a place from which the dog can be assessed and rehomed. Rochdale Dog Rescue is not assisted by any government funding and relies heavily on the support of you, the public. The continued need for the essential safety net of boarding for dogs who run out of time in the pound is a major strain on the finances of the rescue, and donations do not come anywhere near the amount we have to pay out. As a result of the ever growing Bull Breed Crisis the numbers of dogs coming through the pound remains constant. With many rescues closing their doors to Bull Breed types, the safety of emergency boarding is vital, but we can only continue to offer this safety net with your help. We hope you will continue to lend us your support, with donations and fundraising events. Your help has done so much to ensure we can continue our work throughout 2015. Thank you! You can make a donation or set up a regular donation by clicking on the Paypal banner below. This will open a new window. We can also now help you set up a regular Standing Order donation by completing This Form and sending it to your bank. If you have any queries about donating, please contact us for details. 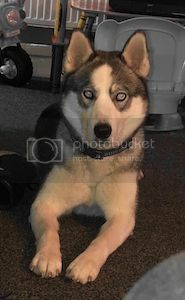 He was moved to emergency boarding kennels on Sunday 17th March 2019. To date Chester's emergency boarding bill is £216. If you would like to help Chester please click on the Paypal logo, or the Buy a Dog a Day link above. 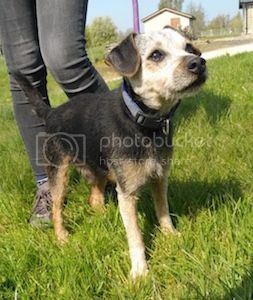 He was moved to emergency boarding kennels on Saturday 20th April 2019. To date Finney's emergency boarding bill is £12. If you would like to help Finney please click on the Paypal logo, or the Buy a Dog a Day link above. We hope you will continue to lend us your support in 2013, with donations and fundraising events. Your help has done so much to ensure we could continue our work. Thank you! You can make a donation by clicking on the Paypal button. Please note that the Paypal link will not open a new window, and will take you directly to the secure Paypal login. We can also now help you set up a regular Standing Order donation. Neutering or spaying - Some of the rescues we are offered spaces by ask us to arrange this before a dog can move to their rehoming centre. Vaccinating - Again, some pound dogs need to be vaccinated to gain entry into some rescues. Petrol expenses for our volunteer drivers - They offer their time and vehicle at no cost to Rochdale Dog Rescue, but sometimes a driver has already given us a tank full of petrol and if we can help a little it may mean they can go the extra 50 miles needed. Every bit of help we get makes a huge difference to these dogs' lives, and every penny enables us to continue helping poundies and saving lives. You can make a donation by using the Paypal button below. Rochdale Dog Rescue would like to thank previous sponsors whose help has enabled dogs to be kept safe in emergency boarding kennels, while arrangements continued to move them to their rescue spaces. Without your help we could not keep these dogs safe at the end of their required 7 day pound stay. Your support is very much appreciated and has been essential in enabling us to save more dogs.